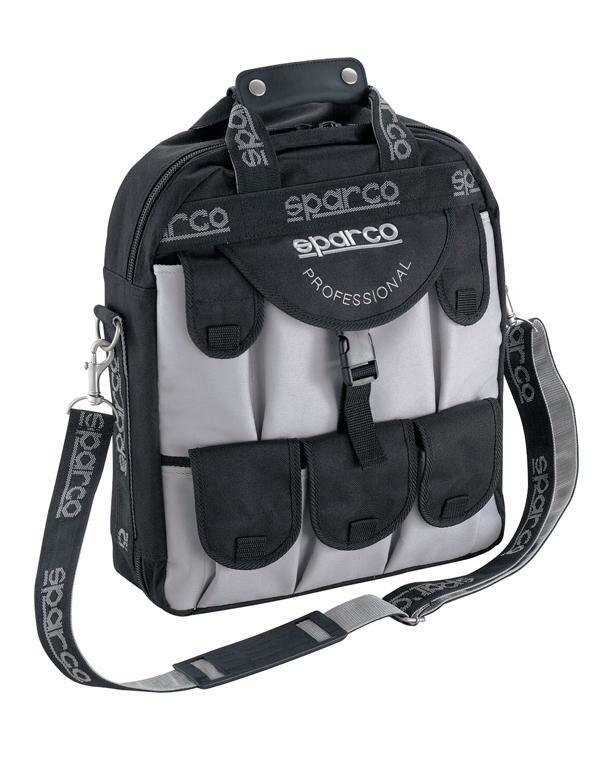 Our utility tote is perfect for storing and carrying hand tools. 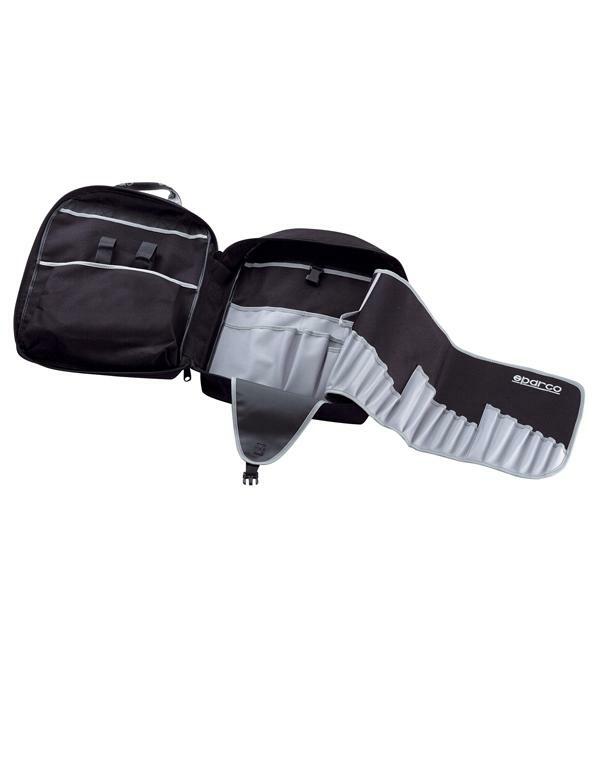 Made with a soft-sided fabric construction, the Utility Professional Tool bag features five external pockets with Velcro closures and one external pocket with a buckle closure. 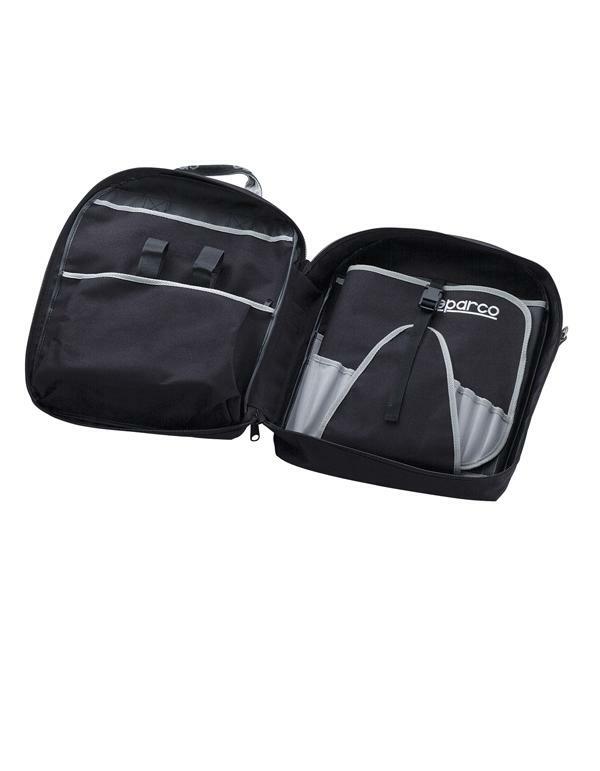 The bag unzips down the middle and open to reveal additional storage compartments, including a foldout belt perfect for holding screwdrivers. 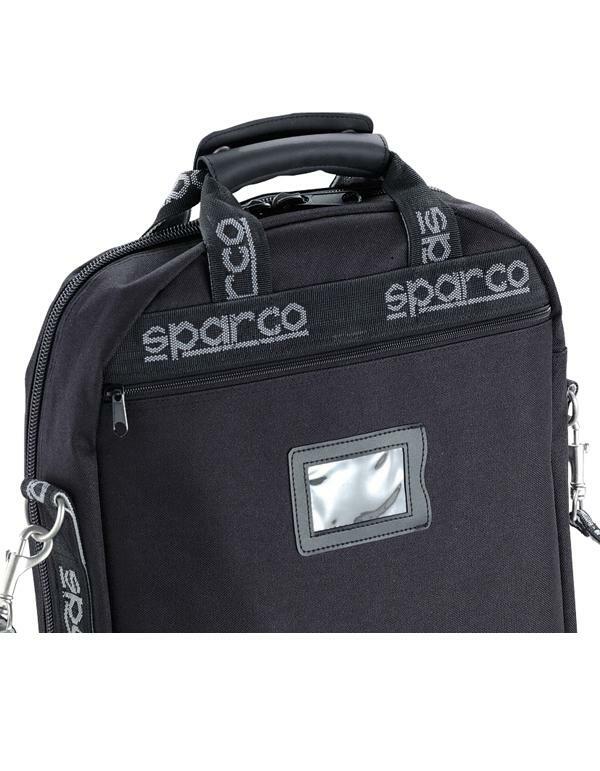 The exterior features a clear ID window for quick identification and both a strap and handle for easy toting. Available in black with contrasting gray strips, the Utility Professional Tool is perfect for holding all of your tools while on the go.